Thank you for visiting Poached Egg Woman!! I live and create art at Kerry Farm near Abernethy in Southeastern Saskatchewan. The most frequently asked question I am asked is “Where did the name Poached Egg Woman come from?” You can find that answer here. The mediums I like to work with celebrate translucence. 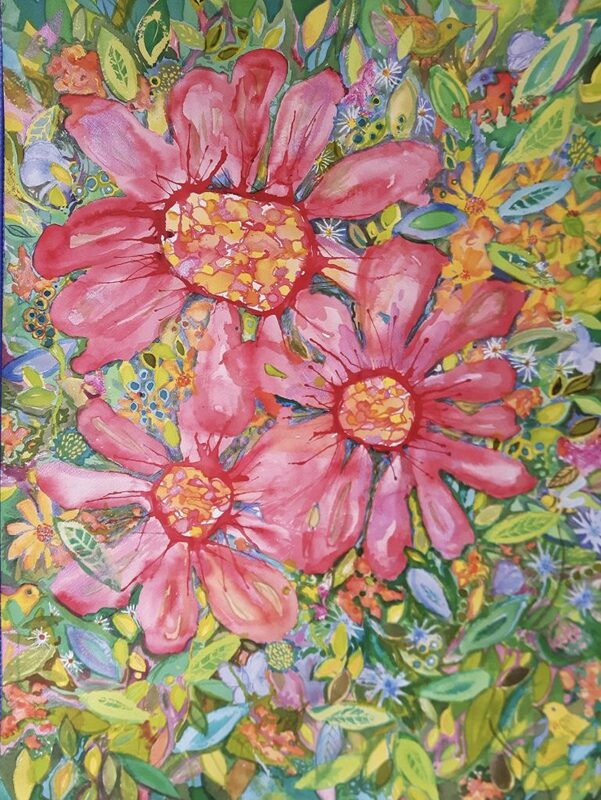 This draws me both to watercolours and working with layers of translucent rice paper. 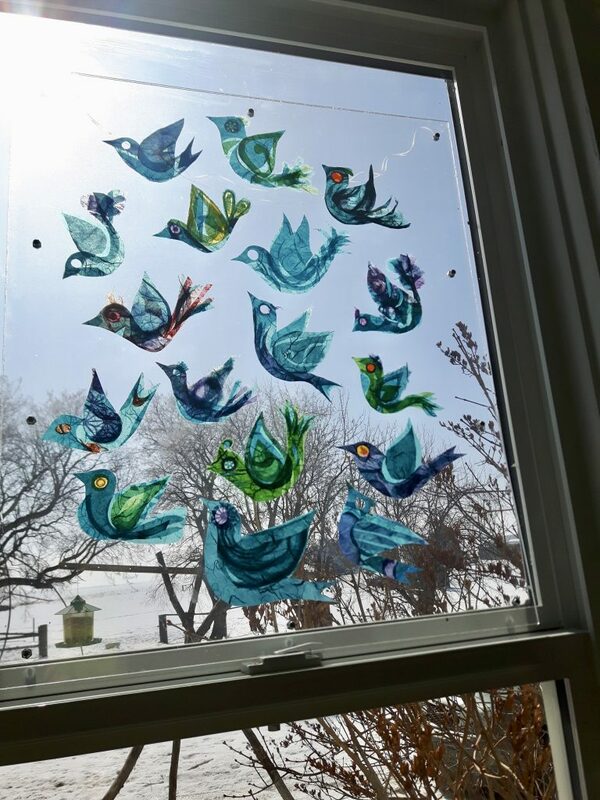 I am inspired by the farm where I live, by the nearby Pheasant Creek Coulee and Qu’Appelle Valley. You can have a glimpse of my world by watching this short video, “Roots and Wings”– created by my neighbour in 2016. I enjoy sharing my love of art with others, and I do this in a variety of ways. I offer Explorations in Art classes to children and young people. 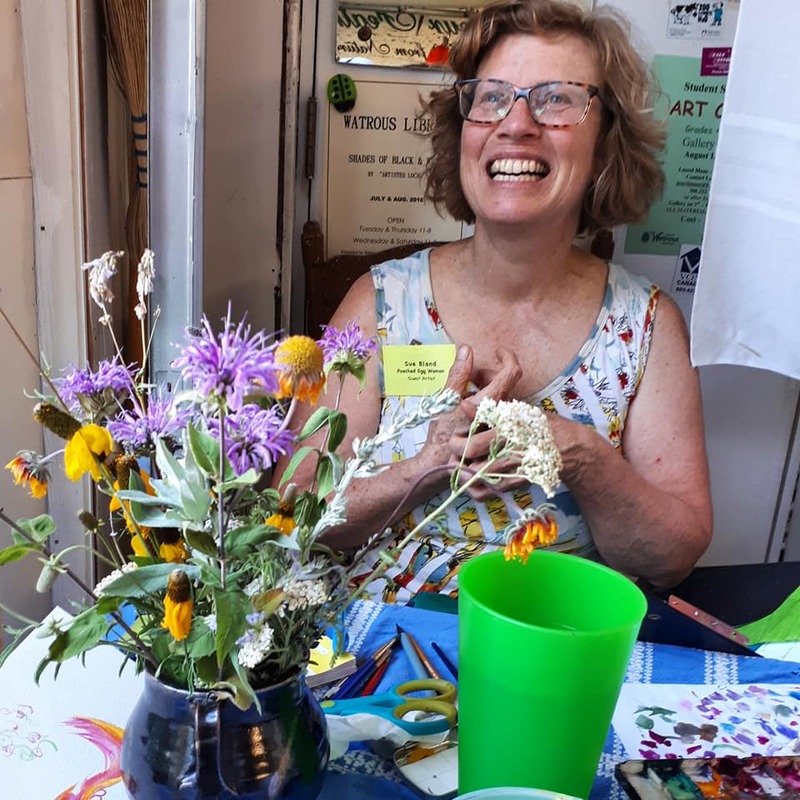 I also offer art PLAYshops (like a workshop but we start from a premise of play and exploration) and retreats for adults and multi-generational groups. 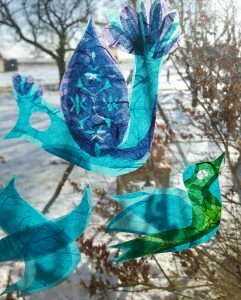 You can check out this video Paper PLay, to learn a little about creating rice paper birds. Please click on the graphic below (Sue Bland playshops) to see what is coming up at First United Church in Swift Current on May 3 -5, 2019. Train Travel – All Aboard!